Keyway can be found on the left of the bottom line of the Magnetic Duplication Key Card. 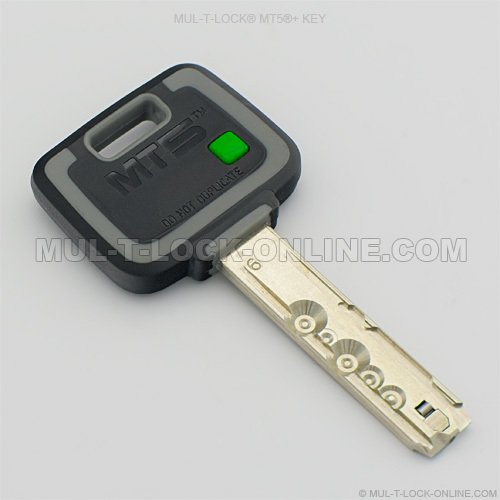 MT5+ keys are available for previous MUL-T-LOCK-ONLINE.COM customers only! Mul-T-Lock’s MT5®+ key design has long been a distinguishing facet of our commitment to high security. The key’s robust and durable design, coupled with Mul-T-Lock’s MT5+ technology, set the MT5+ key apart from the rest.